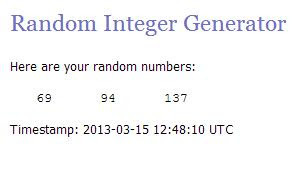 I'm announcing the WINNERS of the Blog Hop Giveaway. Congratulations to the lucky winners picked by the Random Integer Generator: Barbara Woods, Catskill Quilter and Crafter 1953. I'll be getting your prizes in the mail next week. What else is happening around here? SPRING IS!!! Look at what's popping out in my yard. This is what happens when the squirrel figures out where you keep the bird seed. This is the second lid destroyed. I did get a charity quilt quilted on the longarm. My knee behaved and I hadn't forgotten how to run the machine. It has been several months since I was able to work on it. No picture since it was not one I made. If you thought I was going to tell you what else I bought at the show you are just going to have to wait a little longer. I will soon be posting my 100th blog post too. What do you think I should do to celebrate? The tinywhite flowers sorta look like Lillies of the Valley. Congratulations to the winners, and it does look like Spring in your yard, what lovely flowers. I am so envious! We had snow. Thanks for sharing the beautiful pictures. It has to be on the way soon. Congratulations to the winner. Thanks for hosting the giveaway. I love that purple iris. Your flowers are gorgeous. Lovely photos Patricia, not many signs of Spring here we have more snow forecast for the rest of the week. You have some very determined squirrels there too!